“The odds of a bone-shattering fall increase with age, as muscles grow weak and vision fades. Yet seniors who fear falling are at higher risk of falling, research shows, even if they have never taken a spill before. Those most fearful of falling may decide to avoid risk by avoiding activity—and then grow weaker and more likely to fall as a result. “It can become this vicious cycle,” said Susan Friedman, a geriatrician at the University of Rochester Medical Center who studies falls and hip fractures among the elderly. Bad falls send about 250,000 seniors to the hospital each year for hip fractures that can leave them depressed and increasingly frail, even after extensive physical therapy. Tai Chi Chuan, a classical Chinese exercise, has been used for centuries to promote health and wellness, to assist in healing, and to delay the aging process. Tai Chi involves slow and coordinated movements that appears beautiful, graceful as well as provide much health benefits. It enhances vitality, improved posture, balance, circulation, immune function, and neuromuscular functioning. 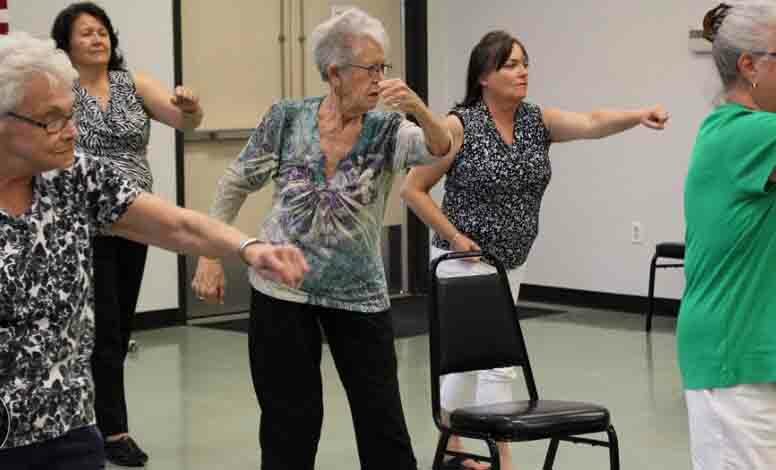 This special form of Tai Chi was designed for seniors to make it easy to learn, easy to do, and easy to remember, while keeping the same benefits as a standard Tai Chi form. The purpose of this instructor training program is to enable you to provide high quality and safe teaching for seniors. The Instructor Training Certificate of Completion for this special course will be given at the end of the two day training. Candidates and Ideal Participants: Anyone who would like to teach Tai Chi at senior centers, wellness centers, or other facilities with senior activities. No experience is necessary; we will train you to be a good teacher. • Appropriate general teaching methods. Registration Fee: $425 per person. Once registered, students will receive two video clips to help prepare you for the training. Cancellation policy: 10% administration fee will be charged.